What’s the Best Move in Chess? If the question seems inherently ludicrous, it should. There’s no such thing as the best move – or even a good move – apart from the situation in which it takes place. You should view your business and brand strategy the same way. Plenty of people out there will offer you “silver-bullet” tactics – things that, they claim, your business MUST do in order to stay competitive. Look upon these skeptically. What works for another may not work for you. And what doesn’t work for another may work for you. It’s entirely situational. Making the right move depends on smart situational awareness. In business, we often emphasize “doing.” And, unmistakably, things need to get done, and done well. But “doing” doesn’t matter if you’re not doing the right things. Often, the best path is less “what,” and more “why.” Better understanding leads to better doing – fewer things, done better. 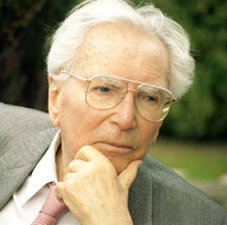 This post was inspired by a passage in “Man’s Search for Meaning,” by Viktor Frankl (pictured at left). I read this book annually and recommend to you unconditionally.